Spotify is aiming to diversify away from its music catalogue and kickstart user growth in the video sphere after its successful IPO earlier this month. 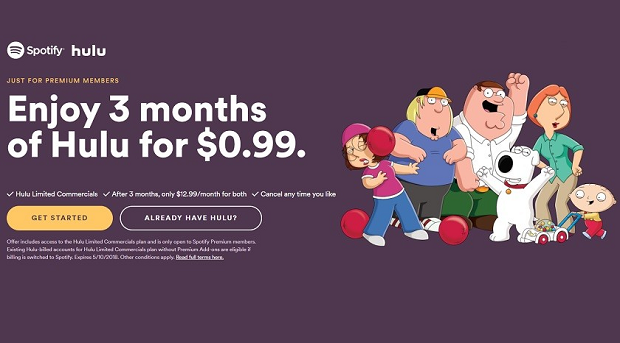 For $12.99 per month Spotify subscribers can get access to a catalogue of 40 million songs, as well as 75,000 TV shows and movies. Spotify has come under pressure to justify its $27bn valuation to investors, forcing it to come up with innovative new ways of proving its worth at the premium end of the paying spectrum, where the greatest profits lie. Despite boasting 71 million paying subscribers last year, the company still ended up with a loss. It’s streaming rival Apple Music has attracted over 36 million subscribers over a much shorter lifespan. The company is likely to reach over 200 million users this year although the majority pay nothing by taking advantage of the Swedish streaming services free package which offers limited access to its catalogue.